DH8 Rider Tickets On Sale NOW! 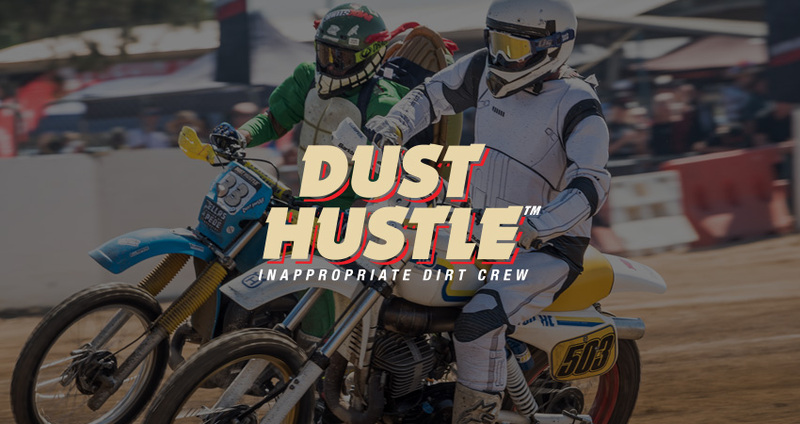 The wildest event on the Dust Hustle™ calendar, Dust Hustle 8: QLD Moto Park is “The Riders’ Event” for 2019. 3 tracks will be spread across the epic QMP venue to test your enthusiasm for the inappropriate, 2 of which will be new to QMP specifically for the DH8 event. Plus we’ll wrap it all up with camping and a trackside afterparty Saturday night. Note: Riders will need to purchase a $30 Motorcycling Australia day licence if you don't already have a current Motorcycling Australia yearly licence. You will be emailed a link to purchase your day licence online, it must be purchased prior to the event. Note: Each rider ticket will be allocated 1 camp site for Friday and Saturday night. Additional camping cost for friends/spectators can be purchased at the event for $10 per person per night. © 2019 Ticketbooth on behalf of Ellaspede. All sales are final. Tickets are non-refundable.